Beacon with the TimeSaver base, connections are made to the base during the initial wiring phase which results in faster and more reliable installation. The beacon head ‘twists and clicks’ into the base on commissioning, avoiding the wiring and connection problems associated with traditional alarm devices. Deep base units have weather-proof protection to IP65 and can be used in all locations both indoors and outdoors. The Sonos Beacon utilises a full faced, translucent case which provides a much larger lens area and a greater spread of light. 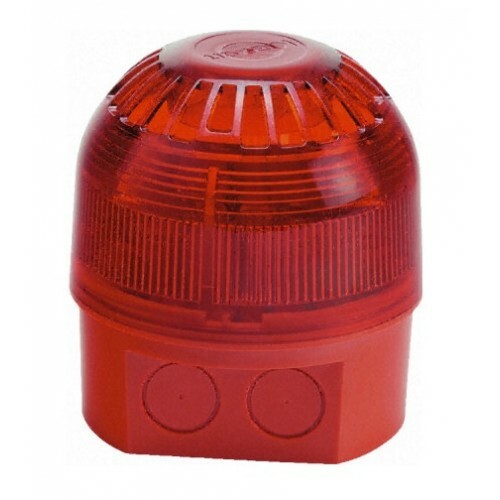 Sonos Beacon units have a deep or shallow red colour base as standard and are available with a red or amber lens.